I keep telling myself I'm going to cut down on the amount of photos per shade and per post...and then a collection like this comes out. And I simply can't just put up ONE photo of each glorious shade! AM I RIGHT? So..this post is a biggie! I sure hope you enjoy and appreciate seeing them as much as I do. 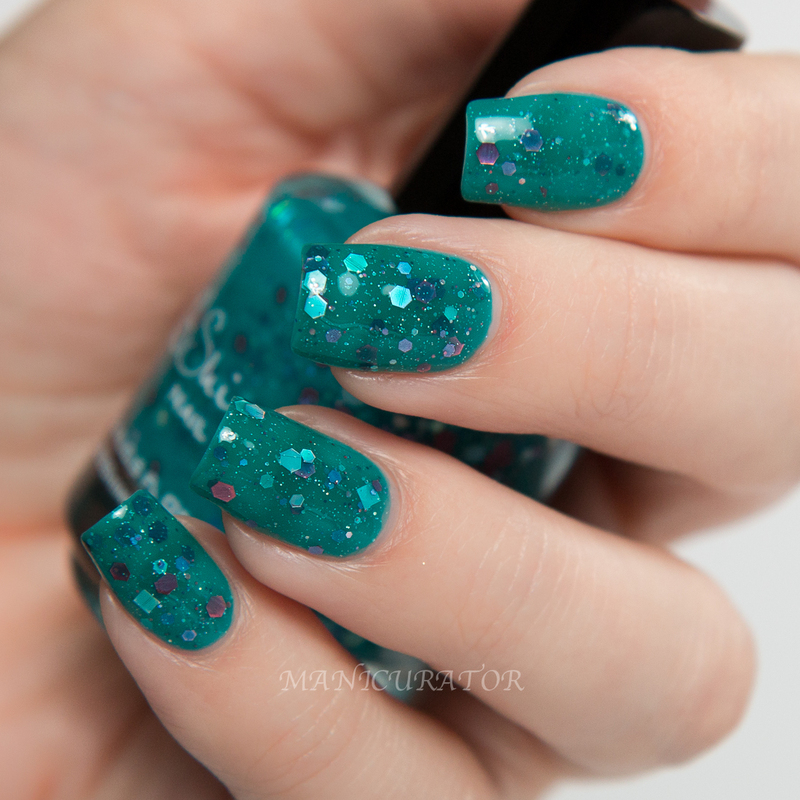 This is the second Part of the gigantic KBShimmer summer release. Here's the press release for this set. Here's my previous post with Part 1 - Sun Drenched Neons. 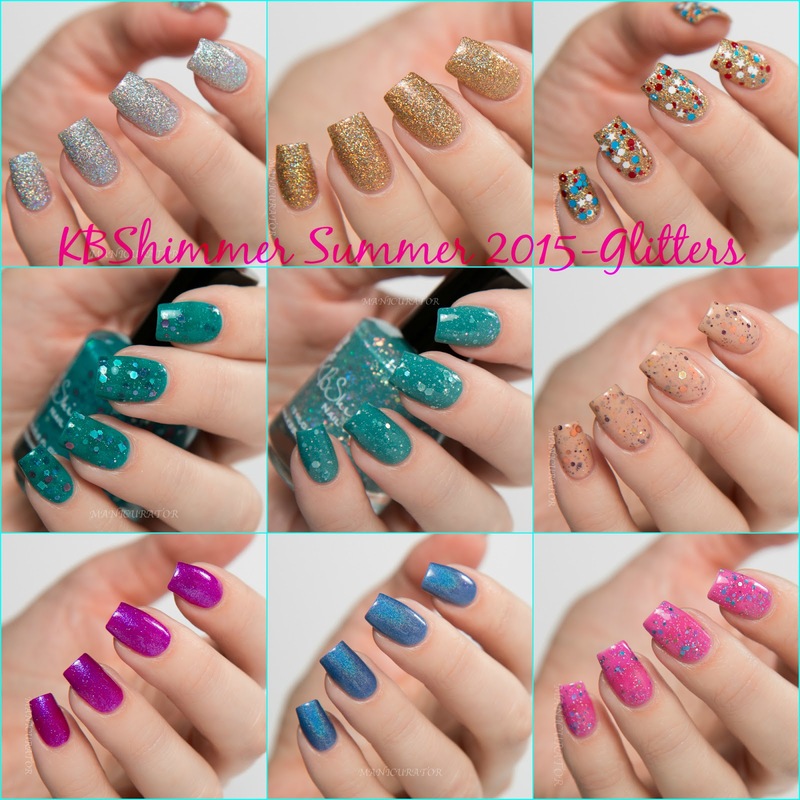 The 9 shades of KBShimmer Summer 2015 Glitters! 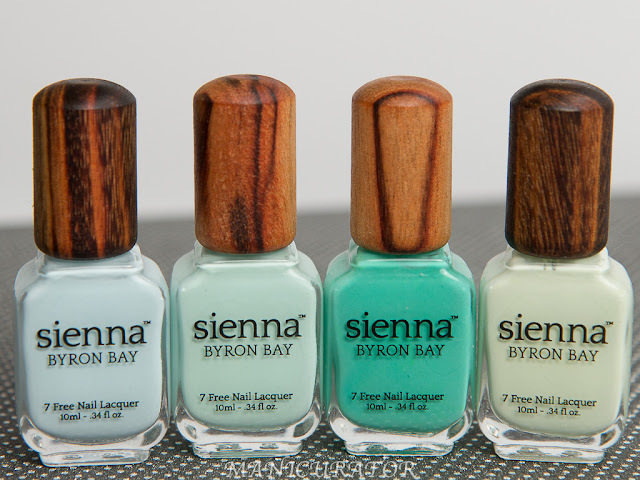 Keep reading for my thoughts and swatches of each shade! All shades swatched with KBShimmer Basic Training base coat and Clearly On Top top coat (where noted). I adore this shade!! I have on 3 thin coats here but you can get away with 2 thick coats. Dries down to a sort of satin finish so you need top coat (I used KBShimmer Clearly On Top) for the gloss. This one is a bit brighter and a touch less green and more blue leaning in person. I apologize..this post was so large that I actually forgot to check the photos against the polish bottle to see how true to life my images are. I usually do that and color correct before uploading into the blog post. This one pretty much stopped me in my tracks. I was in the middle of swatching when I noticed the time, I had had to stop and go make dinner for the family! Once I got to the kitchen and noticed my own gorgeous fingertips I couldn't stop staring! Another win for me! Well, actually this entire collection is a win for me. This is 3 coats, also could be 2 coats with careful application. My fave shades to wear these days are muted/dusty aquas, blues and teals so yeah. This one is yummy for me and lighter in person than my photos captured! 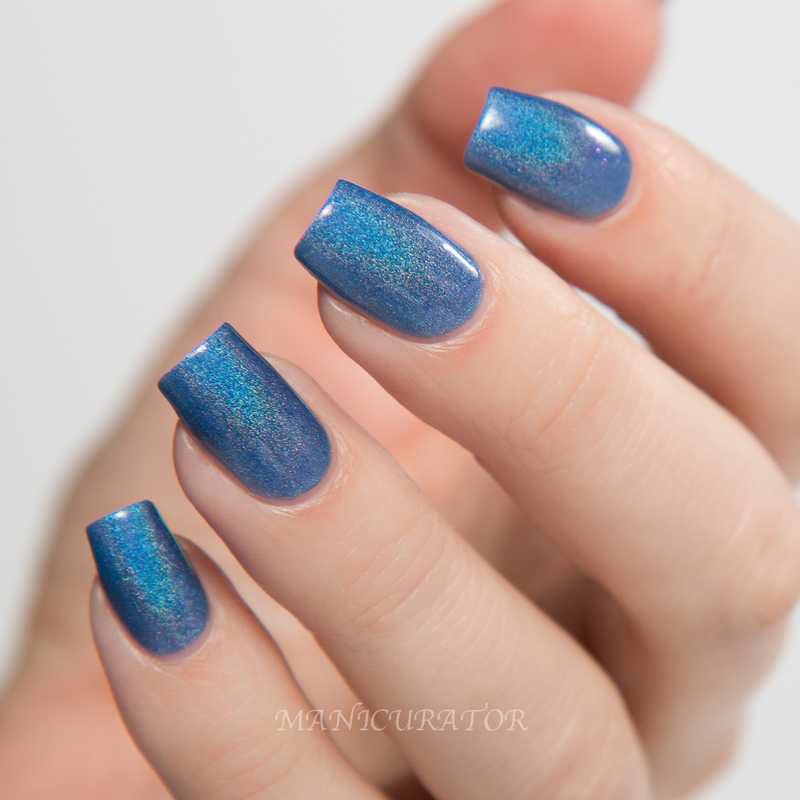 An easy 3 coats here, excellent formula. Well, all have excellent formulas actually! This one photographed a touch pinker than it looks in person. It's a bit more of a hint of purple/pink in person. 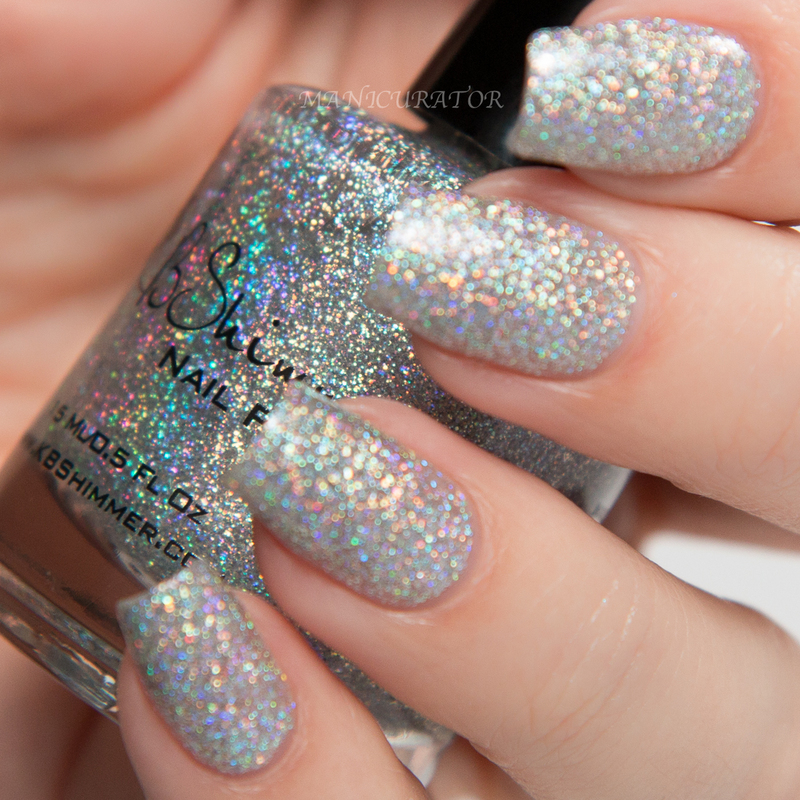 Love love the contrasting glitters in this shade! A beautiful neutral! Not sure how well it goes with my skin tone but I love it anyway! 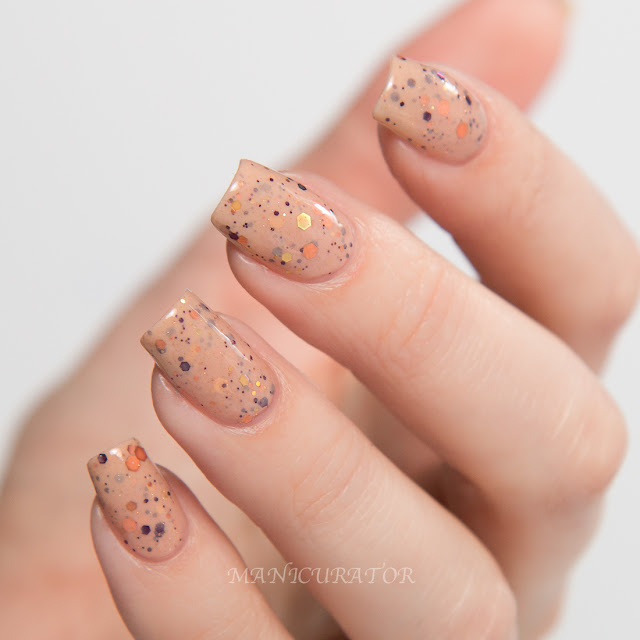 An elegant glitter polish! Maybe even office appropriate? This is 3 coats. Oh man this shade is so pretty. And the shimmer and sparkle are so visible and yet not over the top. This is 2 coats. ALLOY MATEY! 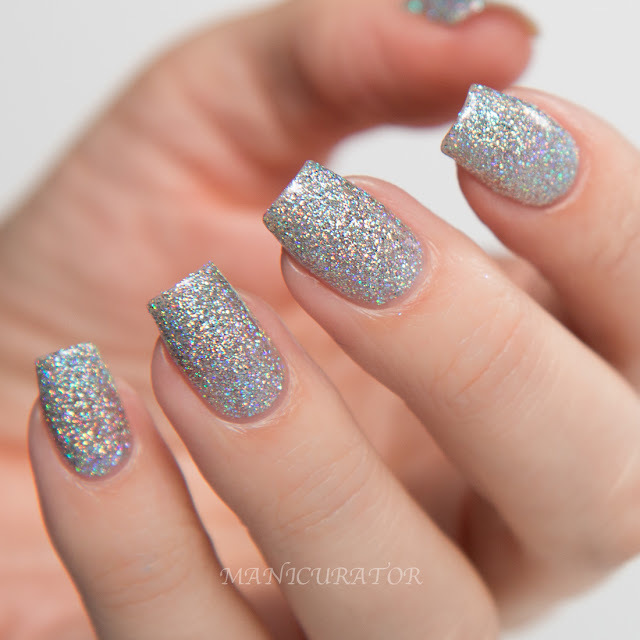 : Our most blingy silver polish yet, packed with micro and fine silver holographic glitters! You need this. If you are a glitter lover you just need to stop drop and buy. You will not regret it, or the next one either. OMG you need them. This is 2 coats, no top coat. I wish I could paint my walls this. I'm so in love with this it's in the need a backup (although I never ever will run out bottle number 1) category. Or the dreaded "I love this so much I'll never use it." Do you do that too? It's silly. WHY do I do that? This is also 2 coats and no top coat. 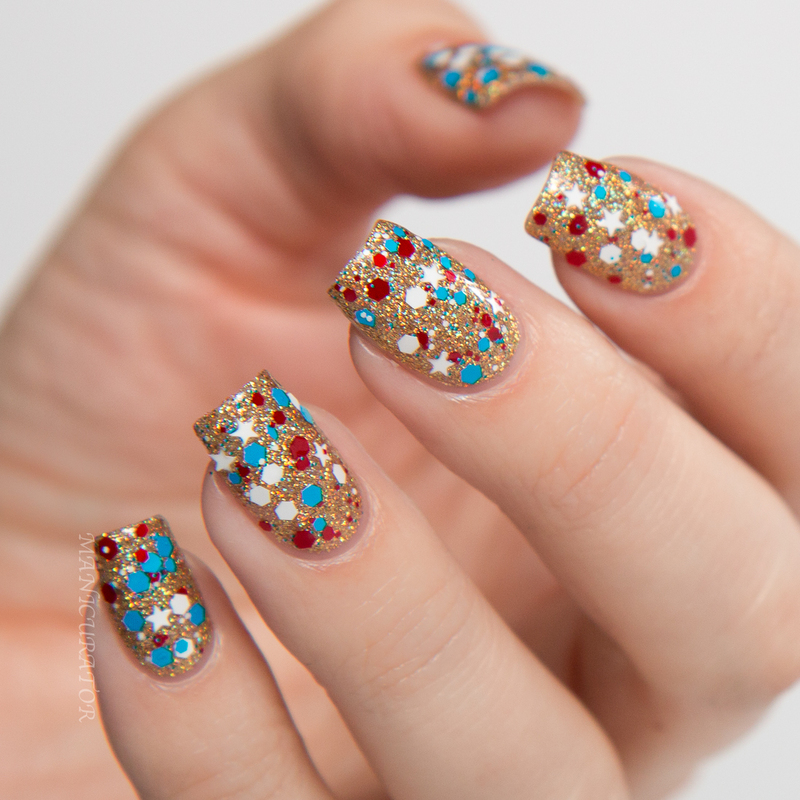 Here's your July 4th mani right here! Easy Peasy! So!! What are your faves? Did you already purchase? I've got the amazing flakes post coming up soon too! 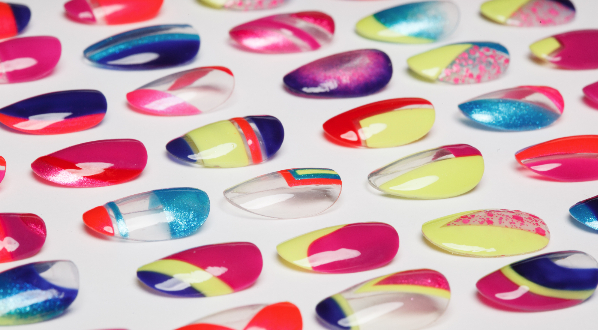 The KBShimmer Summer 2015 Collection: Part 2 will be available May 15, 2015 at KBShimmer.com, Amazon.com and select salons & retailers. For sales outside the U.S., visit www.harlowandco.org.